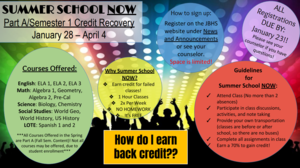 Bowie's credit recovery program, Summer School Now, begins the week of January 28. REGISTRATION IS NOW CLOSED. PLEASE SEE YOUR COUNSELOR FOR CREDIT RECOVERY OPTIONS. 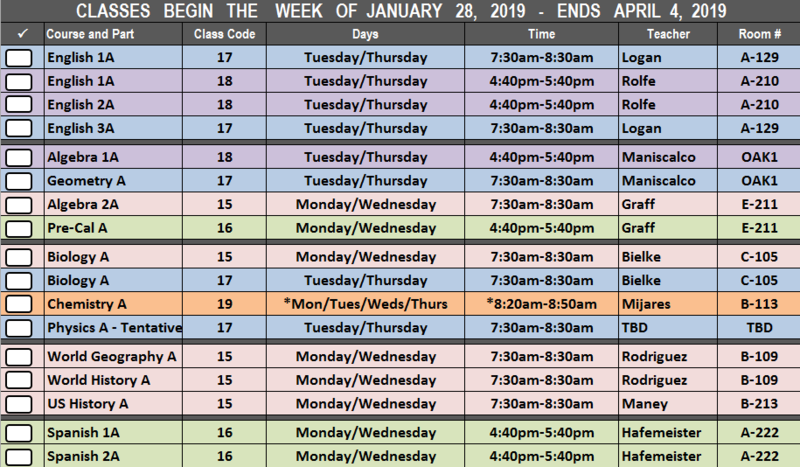 Beginning the week of January 28th, 2019 Bowie will implement our credit recovery program, Summer School Now. There is NO fee for students who participate in this program. 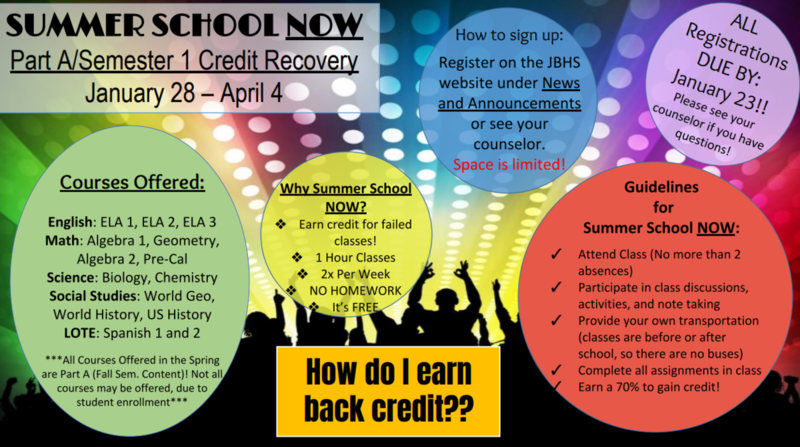 If your student has a course in which credit recovery is needed for Part 1(first semester) of a course, sign up today to secure a seat for Summer School Now. You may contact your student’s counselor, or email Clare Smith or Kim Gilbert, the Summer School Now Site Coordinators, with any questions/concerns. The day and time will depend on the course. 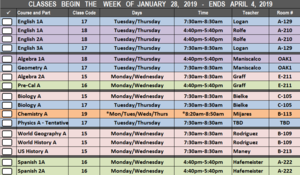 Click on the picture to the right to view a listing of courses offered and days/times. Students/Parents must complete online registration to be enrolled into a Summer School Now class by clicking the link above. Students may enroll in more than one class if needed. Be careful to only register for one course per date/time slot(Class Code) so you are not double-scheduled. Students will be enrolled in classes in which they register. If enrollment is low, some courses may not be offered. Students will be notified if any class is cancelled for which they are registered. Take advantage of this important opportunity to help you/your student to stay on track to graduate!